Alliance of the Steadfast: Only a Flesh Wound! 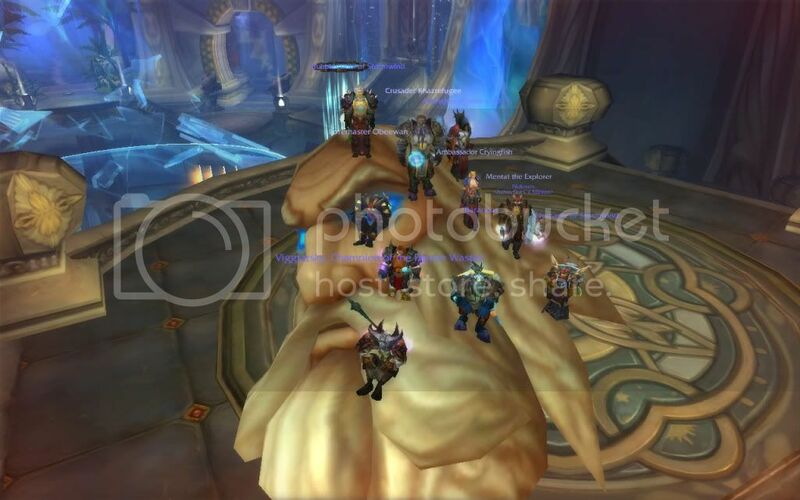 The Alliance of the Steadfast made another great leap into Ulduar as the mighty (and Monty Pythonesque) Kologarn (who appears to be more of a liability than an asset) fell to our punishment! Thanks to Mujahadeen (not pictured), Nomadic, Viggtarsky, Obeewan, Cryingfish, Bubbletroubl, Barancus, Achingtree, Mentat and myself, with a special thanks to Khazrefugee of <Femme Fatal> for the help and strategy tips. Click here for a hi-res image. 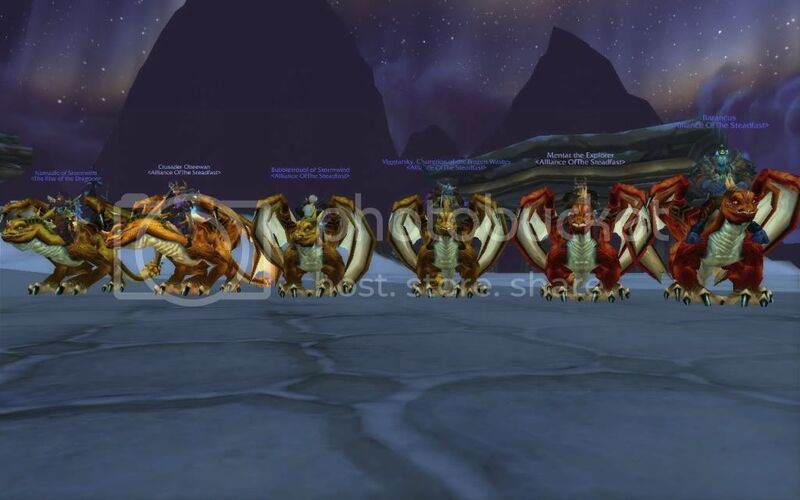 In preparation for the coming renewal of the Onyxia raid, AotS members set out to create a chain of dragons from one end of the world. However, their dreams fell short as they realized that only six dragons were available. Click here for a hi-resolution image. That's all for now! If you have any suggestion for future articles that concern the guild, guild members, or WoW in general, message me in-game or email me at megamannt451@aol.com .